Cameron Boyce is a young American actor and dancer who has featured in several movies such as Mirrors, Eagle Eye, Grown Ups and Grown Ups 2. He is most popular for his role as Carlos in the first two installments of the Disney movie, Descendants. Find out more about the Hollywood starlet here including his family, girlfriend, ethnicity, body stats etc. Cameron Boyce was born on the 28th of May 1999 in Los Angeles, California. He grew up watching Disney shows such as Hannah Montana and Ravens and consequently fell in love with acting. Boyce began his career at the age of 7, appearing as a model in print ads for establishments such as K-Mart and the Disney Store. From modeling gigs, he expanded his repertoire to acting. Boyce’s most popular work till date is the 2015 Disney movie Descendants where he plays Carlos, the son of iconic villain Cruella de Vil. The movie captured the hearts of millions of people all over the world, both young and old. It was an epic success, leading to the production of a second installment and a third installment. Asides acting, Cameron Boyce is also a very good dancer. He has shown off his skills on shows such as Disney’s Shake It Up as well as web series, The Legion of Extraordinary Dancers. He has also appeared on ABC’s Dancing With The Stars. 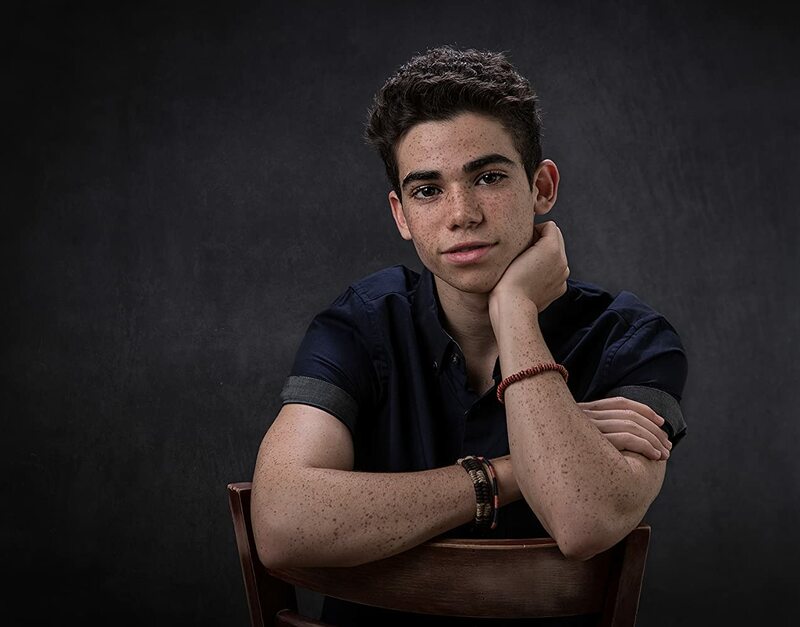 Cameron Boyce comes from a family of four. It includes his dad, Victor, mom, Libby Boyce and sister, Maya Boyce. The young actor credits his parents with giving him useful advice that has taken him far in his career. Boyce’s sister, Maya is two years younger than him. They are very close and she often attends movie premieres with him. With regard to ethnicity, Boyce is Biracial. His dad is African-American and Caribbean while his mom is white and Jewish (her family hails from a number of European countries such as Hungary, Russia, Lithuania, and Germany). He describes himself as bl-ewish, a combination of black and Jewish. Boyce’s paternal grandmother, Jo Ann (Allen) Boyce was part of the Clinton 12. It refers to the first group of African-American kids to attend a desegregated high school in the US South. The name of the high school was Clinton High School in Clinton, Tennessee and the Clinton 12 was only able to attend after the US supreme court ruled in 1954 (Brown v. Board of Education) that such segregational laws were unconstitutional. Due to his background, Boyce is a big advocate for diversity in Hollywood. See Also: Bella Thorne Dating, Boyfriend, Girlfriend, Sister, Parents, Is She Lesbian? Who is His Girlfriend or is He Gay? The Disney star has had a colorful love life if tales in the tabloids are anything to go by. He has been previously linked with actresses such as Sophia Carson, Peyton List (his co-star in Jessie). At present, Boyce is romantically linked with Brianna D’Amico. She is an actress and is part of the Descendants franchise. They reportedly started dating following their work on the movie. The pair is often seen together at various places and regularly post pictures of themselves on their social media accounts. This has led many to conclude that they are dating. However, it must be stressed that there has not been any official confirmation by either party. With regard to whether he is gay, we can conclude that Boyce is straight as he has never been romantically linked with any male in the past. Cameron Boyce is 5 feet 6 inches OR 1.67m tall and weighs 134lbs or 61kg. His eye color is brown. Boyce has a cute smattering of freckles all over his face. He has had it since he was a child and people often asked him if it is chicken pox. He, however, takes it all in good humor and has come to love his freckles.